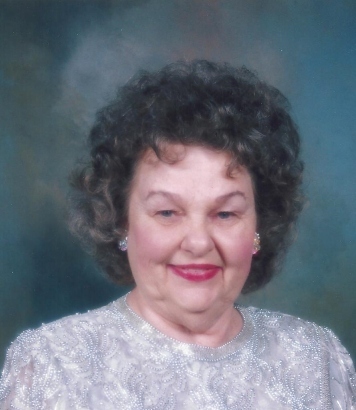 Delphia (Del) Reeder Gabriles, age 88, of Lake Jackson, Texas, passed away October 25, 2013. She was born August 28, 1925, to Ethel and Fred Reeder in Independence, Missouri. Del attended school with Margaret Truman, daughter of President Truman. She moved to Omaha Nebraska in 1937, where she resided for only 6 months. In 1938 she moved to Galveston, TX, and attended Ball High School where she was an acrobatic twirler with the Drum and Bugle Corp. She became the Assistant Dance Instructor with Sorenson Dance Studio. Dancing led to participation in the Miss Galveston Contest. This was during World War II and the admission to the event was the purchase of a war bond. During the war, she also danced for the troops with the USO and American Red Cross. She began working at American National Insurance Company and became the Agent Cashier for the War Shipping Administration manning merchant vessels. After the war, she went to work for Monsanto Company in Texas City as Executive Secretary for the Plant Manager. While working at Monsanto, she survived the April 16, 1947, Texas City Disaster. This was the deadliest industrial accident in US history and one of the largest non-nuclear explosions killing at least 581 people. In 1947 she married George Gabriles and was married to him for over 48 years. Del and George were blessed with four children. The family resided in Texas City for 17 years. In 1969 the family moved to Lake Jackson. She became active in community affairs such as chairman of the Heart Ball raising money for the American Heart Association and Arrangement Chairman for United Way. She was a member of Beta Sigma Phi for many years and was honored as Woman of the Year for her chapter. She was also awarded Order of the Rose for 30 years of service. She was a member of the Wednesday Review Club serving as President and President of the Riverside Ladies Association. She was a graduate of Dale Carnegie and acted as Graduate Assistant for many classes. She began a Real Estate career with Hagan Town and Country in 1976. Later she went to work with Griffin Realty where she became a Broker. After Griffin Realty closed she went to work for Coldwell Banker, Century 21 Premier Properties, and later worked as Realtor and Sales Manager for Clyde Cone Company, Inc. She completed her 37 year career in real estate as an Independent Broker. During her real estate career she was named Key Realtor for Brazoria County Board of Realtors and was named Top Sales Producer and Lister many times. Delphia is preceded in death by George Gabriles, her parents Ethel and Fred Reeder, brother John Reeder, and grandson Grant Muir. Delphia is survived by her sister, Sharon Reeder; her four children: Glenda Muir and husband Gilbert, Gary Gabriles and wife Donna, Jerel Gabriles and wife Charlotte, and Lorie Copus and husband Dennis; two grandchildren: Greg Muir, Kimberly Taylor and husband John; five great- grandchildren: Chase Muir, Kristen Taylor, Brant Taylor, Chelsea Muir, and Grace Muir; three step-grandchildren: Stephanie Weir and husband David, Jennifer Neel and husband Ryan, and Jason Lindsey and wife Hermie. A service was held Tuesday, October 29, 2013 at 10:30 a.m. at Lakewood Funeral Home in Texas. Locally a visitation will be held Friday, November 1, 2013, from 10:00 a.m. till 11:00 a.m. at Bland-Hackleman Funeral Home followed by a graveside service at Love Cemetery under the direction of Bland-Hackleman Funeral Home. Rev. Brent Bland will officiate.